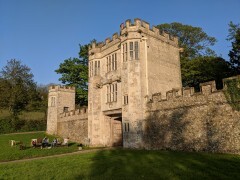 Spent the May Bank Holiday weekend staying in the Shute Gatehouse near Axminster, and went fossil hunting in Lyme Regis and Charmouth. As always seems to be the case whenever we decide to drive anywhere it took far longer than we thought it would, but eventually by early evening we made it to Shute, and were met there by Dad and Janie. We then had a picnic dinner out on the lawn in front of the gatehouse. 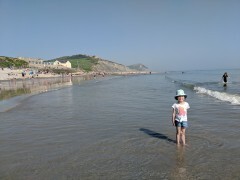 Lunch in Lyme Regis then went to the beach for a Spot of fossil hunting in charmouth later in the afternoon. Later on dinner back at the gatehouse. 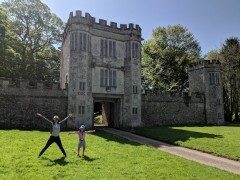 Spent the morning exploring in and around the gatehouse before heading to Axminster for lunch at the River Cottage, then the long boring drive back to London.